A Chinese Type 99 Main Battle Tank on display at the Beijing Military Museum as part of the "Our troops towards the sky" exhibition. Editor: The Type 99, also known as ZTZ-99 and WZ-123, is a third generation main battle tank used by the Chinese People's Liberation Army. It is made to compete with other modern tanks. 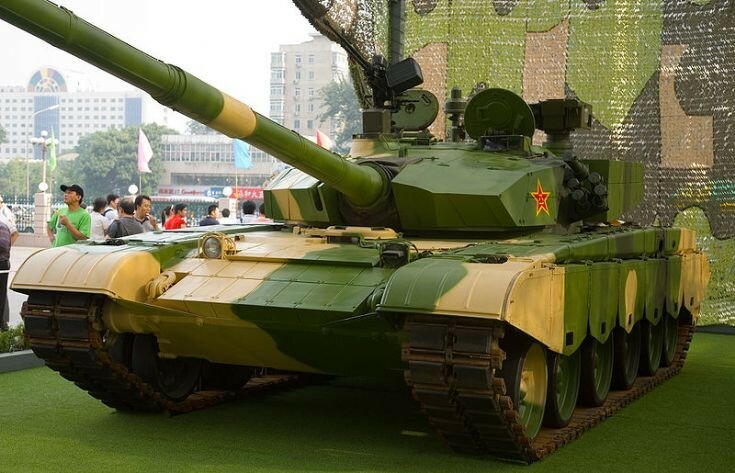 Although not expected to be acquired in large numbers due to its high cost compared to the more economical Type 96, it is currently the most advanced MBT fielded by China. The ZTZ99 MBT is a successor to the Type 98 G tank manufactured for the People's Liberation Army (PLA).